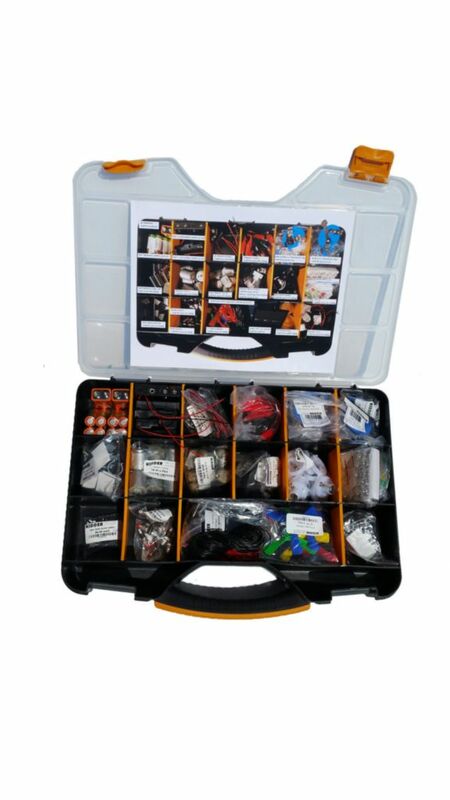 This kit on its own allows a student to experiment with series and parallel circuits, switches and solar power and potentially build their own board game that utilizes the led’s and buzzers. 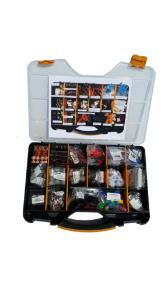 This assortment of motors, bulbs, sockets and much more comes in a handy divided utility case. Items included are batteries, batter holders, various bulbs, various sockets, buzzers, motors, switches, and hook-up wire. 117 pieces in total.